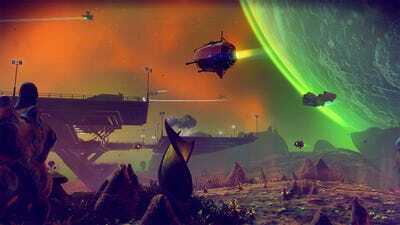 The gorgeous, controversial game “No Man’s Sky” is back. The space exploration game is headed to the Xbox One this summer. Few details are known about the “NEXT” expansion. It’s being called “the biggest update” to the game thus far. “It’s an important next step on a longer journey for us and the community,” Hello Games lead Sean Murray said. The game is currently available on the PlayStation 4 and PC, where it received several major updates since launching in September 2016. 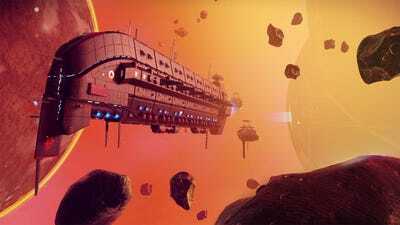 Those content additions – the Foundation, Pathfinder, and Atlas Rises expansions – will come included in the Xbox One version of the game. The “NEXT” expansion is also included in the Xbox One release, and will come to PlayStation 4 and PC at the same time for free. Additionally, the game’s getting a graphical overhaul to take advantage of the Xbox One X’s 4K and HDR capabilities. “No Man’s Sky” was already gorgeous, but it’s going to look even better on Xbox One this summer. So, what’s in the “NEXT” expansion? That’s totally unclear. There are no details about the expansion in the press release from the game’s development studio, Hello Games, and a request for more information was met with silence. Of course, if you haven’t played (or even heard of) “No Man’s Sky,” you may be wondering what all the fuss is about. The long and short is this: It’s a first-person exploration game, with an impossibly large galaxy full of planets waiting for you to find and explore. Rather than shooting aliens and saving the world, you’re scanning for resources and looking through the remnants of past civilizations. It’s quite a game! 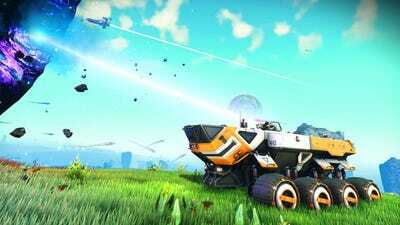 Read more about “No Man’s Sky” right here.